Many users of rooted Android were banned from over-the-air updates for a long time. It was a vicious circle since updated to the latest OS voids rooting, and you have to do it once more. But everyone wants to use the latest OS and take advantage of its advanced features. And the good news that we can update rooted Android devices to the newest OS in some other ways. We can use Smart Switch or FlashFire for updating rooted Android devices. Today we’re going to discuss how to run an OTA update without losing root. We’ve tried two tools that can update your device and save the root. Smart Switch is a management tool developed by Samsung. If you are Samsung users, you’ve probably seen Smart Switch Mobile on your handsets. It’s used for synchronizing data between mobile devices. And we’re talking about Smart Switch for PC which takes care of restoration, software updates, data backup as well as synchronization on computers. Smart Switch supports rooted Samsung devices, so you can update your phone or tablet without losing root. You don’t have to install a dime a dozen of additional programs to update your device. Smart Switch is enough to upgrade the OS on your device. Get Smart Switch and connect your Samsung device to the computer. 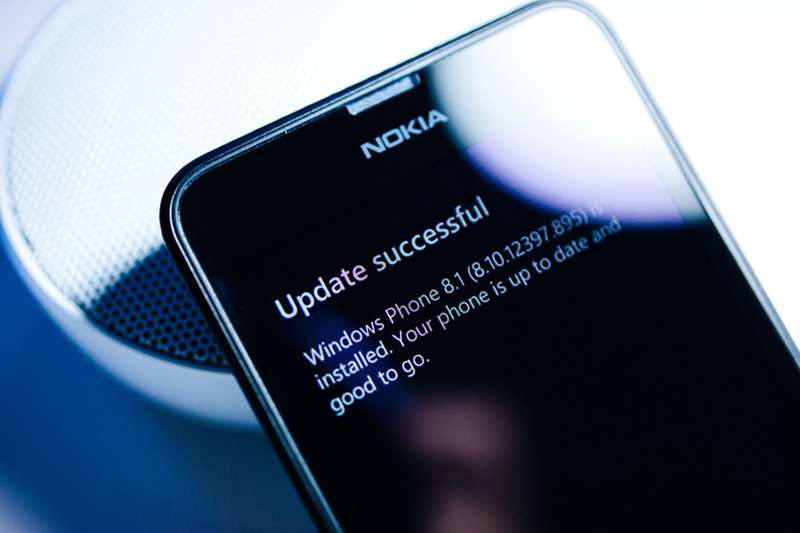 And the program will do everything else required to update the device automatically. Just follow the instructions which appear on the screen. With Smart Switch, you don’t have to initiate USB debugging or unlock the screen. This comes in handy when a device is broken, and you need to backup data. Note, Samsung warns that updating of rooted devices may fail. But it actually happens once in a blue moon. FlashFire is a powerful data management tool brought up by Chainfire, the creator of SuperSU. The app allows performing a variety of actions like create and restore data backups, flash OTA updates, etc. With Flash Fire, you don’t have to backup or restore all your data manually. Moreover, the app can run un-rooting and re-rooting processes automatically when updating Android devices. There is hardly any Android device that isn’t supported by FlashFire. But it’s better to have Android 4.2 or higher. On the one hand, there are some rooted devices where root doesn’t allow OTAs to download and flash. And here come FlashFire that can flash an OTA update. And on the other hand, there are other rooted devices that cannot even download updates. One way or another, you should get an OTA file (you can check XDA Developers for any OTAs). Otherwise, you cannot upgrade your rooted device. Moreover, if you want to run a full version update - from Lollipop to Marshmallow, there is hardly any chance to do it without losing the root since you have to unlock the bootloader. If you lock the bootloader, your device will lose root access. That’s inevitable. But FlashFire can try to save the root access once you update the device. Want to know more about rooting? Read our previous entry on how to root a handheld device without damaging it. Don’t install the update as soon as you get a notification. This may unroot your device or updating process may just fail. The first thing you need to do is to download and install FlashFire. Then wait for an OTA file to download and as soon as you get it, you can fire up the program and follow on-screen instructions. Don’t be afraid of a screen. It may overwhelm you a little bit. But it’s only a breakdown of what the program is going to do with your device. Moreover, you can customize each option by tapping on it. For example, you can omit to wipe the cache if you don’t want. Once you are done with options, you can initiate the update by tapping on the “Flash” button. The updating may take some time. While installing an OTA file, lots of scrolling text may appear on display. Just don’t be afraid, it’s FlashFire that runs the required commands. As soon as FlashFire updates your phone, it’ll reboot and restore the root access. Isn’t it simple? The only thing that kept lots of Android users from rooting is gone. Now you can update your OS without losing the root access. Want to root or jailbreak your device? Feel free to contact us for some expert advice.